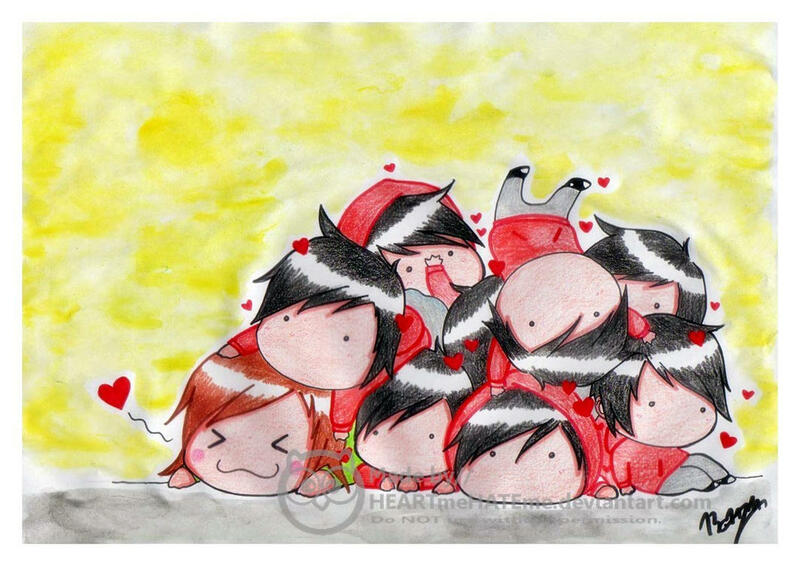 oh dont mind me here have some cuddly chibi Strokes for no reason. it’s been a mental inside joke to me that Fab constantly pops up from underground. Tina posing with sponsored Steven Universe dolls at some random cafe. The story behind this is: Tina is supposedly cosplaying Amethyst perfectly, & then Rebecca Sugar found out & she became the spotlight and shiz & went on this photoshoot with Steven Universe dolls for promotion. And boy does Rhett look confused seeing chibis of his BFF swarming the place & wanting him to pick them up. And another one for today, whew im productively procrastinating. But instead I was trying to make the pic like ~Susutastic's piece right here ...only keeping the rain. and now getting back to being depressed. I actually kinda like Teen Titans Go!